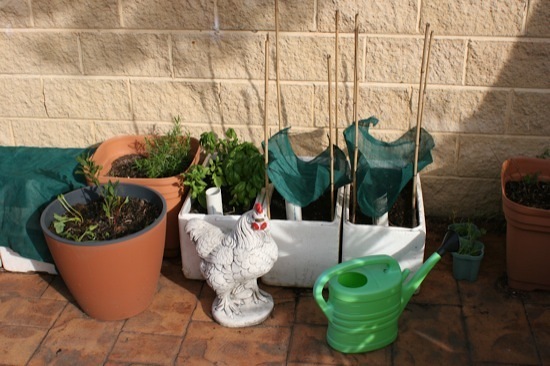 This is a guest post by Monique Dare-Ward, President of our garden club, Jamberoo Community Growers. She presented this talk at a club meeting a couple of weeks ago, and I’m reproducing it here for those who couldn’t write all the details down fast enough. Thanks Monique! Few of us would dispute the amazing utility of herbs but today I hope to change your general favour to an all out passion. 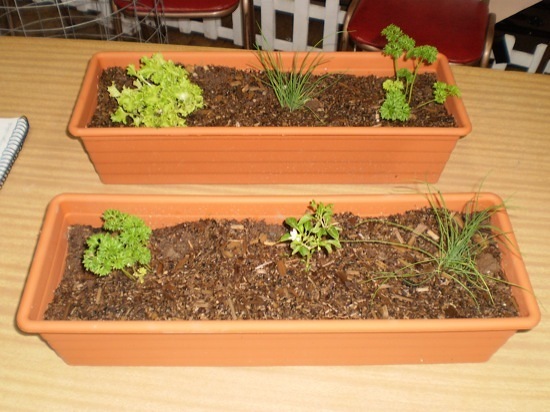 Herbs have been with us for as long as humans, or our predecessors, have walked the earth. The use of herbs has been proven to predate the agricultural revolution of roughly 10,000 years ago. Herbs, used by our hunter gatherer ancestors, provided nourishment, medicine, even contraception. Medicines today are often derivatives of those ancient herbal remedies – willow bark for example, which produces the drug salicylic acid, or asprin. The herbs gathered in the wild places made soothing drinks, balms and poultices, and in cooking many herbs provided gastronomic benefits that today we assume only chemical additives can emulate. Salads, a staple of the Mediterranean diet, are in fact an excellent precursor to any meal. The bitter herbs contained within them stimulate the neurological hormones responsible for appetite, stimulating gastric juices which in turn facilitate the efficient absorption of food. Bitter herbs (including salad herbs like rocket, lettuce and spinach) have also been linked to the regulation of endocrine pancreas so have an important application to hypoglycaemia and late onset diabetes. Today, herbs are something reserved for the occasional dish, as functions of a culinary nature. I’d like to reverse that trend. I’d like to add to the food pyramid a myriad of herbs to be taken every day. It has been difficult for me to tease out those herbs that are the most useful. We can’t all be herbalists, growing and preparing our own herbal remedies in the kitchen from the garden, but we can all include a few basic herbs in our gardens, sometimes with beautiful and surprising outcomes, with absolutely no trouble at all. And so… I hope my humble list of garden “must haves” helps you to take charge of your own health and gain a beautiful garden, a herbal pharmacy and a sense of wellbeing right in your own back yard. Aloe vera – Not only a great heal all for cuts grazes, sunburn and insect bites, aloe vera also calms allergic rashes, is a stimulating laxative for sluggish bowls, and is a urine stimulant. Celery – Excellent eliminator of uric acid and therefore a good aid in arthritic conditions, gout, urinary infections and surprisingly to stimulate milk in new mums. The crushed seeds are the greatest source of healing but the vegetable, fresh from the garden is a superb alternative. Chilli – Anti-inflammatory, antioxidant, antiseptic and decongestant. Also a plant that speeds up metabolism. Chillies contain capsaicin and the heat factor is also well known for its ability to fight the common cold. Chickweed – Mashed as a poultice chickweed is an excellent external application to sooth inflamed, erupted and especially itchy skin conditions. Corriander – Packed full of beta-carotene, folic acid and iron, coriander can assist us with its anticarcinogenic and antioxidant functions. Dandelion – The leaf is a very gentle but effective diuretic, it is a hepatic and assists in the healing and function of the liver. Both the root and leaf can be used for a wide range of problems, including gallstone and biliary problems, hepatic and posthepatic jaundice, constipation, general joint and skin inflammations. And the white sap can be used for the long term reduction of warts. Garlic, the super herb. Allicin, the substance that gives garlic its trade mark smell, inhibits the growth of bacteria and assists in immune function, protecting cells from damage and lowering cholesterol. Sulphur compounds keep the blood healthy and helps to combat bacterial and fungal infections. It is particularly effective for infections in the lungs and gut, notably for bronchial conditions, as a long term treatment for cardiovascular problems, high blood cholesterol and a predisposition for thrombosis, transiently lowers blood pressure, and as a warming remedy is useful for counteracting colds and chills. Garlic has a notable reputation for healing wounds and reducing pain and inflammation of stings, in an oil for earaches and conjested middle ear problems, and as a digestive aid and a stabiliser of blood sugar levels. I have used it myself on a wart and although the process produced a rather painful blister, it removed it entirely in a matter of 2 days. Ginger – Full of B vitamins, magnesium and zinc, ginger can help us through its antioxidant, antiseptic and decongestant function. Its warming properties can help with colds and flues and with general healing support. Lavender – While the oil is hard to extract in the average back yard, simply having the plants in and around the garden can produce some amazing flow on effects. The scent is known to relieve nervous tension, exhaustion and depression, the oil to relieve digestive colic and flatulence, and both used locally for headaces and arthritic pain. Lavender is also an excellent companion plant and beneficial bug attractor. Marigold – Possessing multiple anti-infectious and antiseptic properties, marigolds are more than excellent garden companions. They fight for us as well! Marigolds are an excellent non-tannin astringent, anti-inflammatory, antispasmodic, and local tissue healer. In a mouth wash they fight ulcers, gum disease and throat infections, locally a poltice of crushed petals can be used for haemorrhoids and fissures and make an excellent eyewash for tired sore eyes. Mint – contains beta-carotene, folic acid and vitamins C & E. It has strong antibacterial, anticarcinogenic, antioxidant and antiviral properties that make it an invaluable ingredient in convalescent teas. It also provides an excellent pep-me-up role and can easily be included in the daily diet. Parsley – Also contains betacarotenes, folic acid, vitamin C, iron and magnesium. Apart from being anticarcinogenic and a great general antioxidant, parsley has an amazing effect on bad breath neutralising the pong. It isn’t used as a ubiquitous decoration on plates of food for nothing. Rose (and rose hips) – The smell of roses are easily one of the greatest delights of a summer garden but the after effects, if you can stand the messy little flower heads after the rose has blown, are a gift on their own. Rose hips have been used for hundreds of years for their medicinal and nourishing value. They supplement vitamin C levels, are excellent used in a syrup for colds and minor infections of the respiratory and for the common cold, for gastric inflammation and enteritis with diarrhoea. They also make an excellent jam, used extensively in Eastern Europe and Germany. The syrup is easy to make by boiling the crushed and bruised hips in sugar and then straining the syrup through a cloth and bottling. 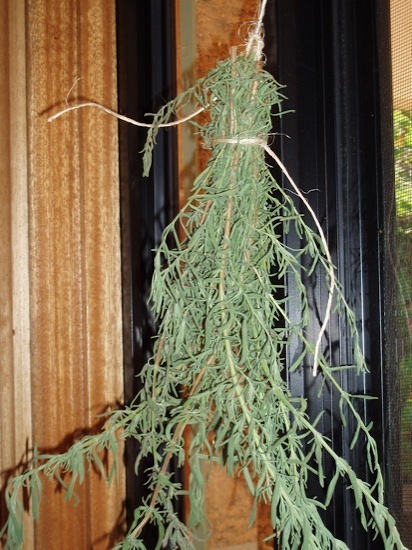 Rosemary – my personal favourite, can be used for so many purposes. It can be made into a rinse for hair, a gargle for the mouth, in cooking, in sprigs in toilets and pet areas to neutralise smells, in sprigs in containers of bread crumbs to impart a magic aroma, in the garden for both asthetic and culinary use, and it can be chopped, moved, pruned and neglected and will thrive and love you indefinitely. Rinse cuts with a tea of bruised rosemary and salt. Skewer kebabs with the stems. Its uses are endless. An excellent and ancient restorative tonic. Its smell is of health, happiness and healing. It has even been said to aid in hair regeneration!! Sage – As a mouthwash and gargle sage can manage affections to the throat and mouth, to restore digestive and circulatory function in debility and convalescence, to assist in the treatment of night sweats and excessive perspiration or salivation and to soothe hormonal problems in menopause. Spinach – This dark leafy green was well placed as the veg that gave Popeye his muscles. It has an awesome amount of phytonutrients and antioxidants including vitamin K, coenzyme Q10, folate, iron and carotenoids. The combination is dynamite for protecting against heart disease, cancer, brain diseases and the protection of DNA (and as an offshoot from mutations of the cells). Tomato – Packed with the antioxidant lycopene it assists in the fight against heart disease and prostate cancer. Although the excessive sugar in commercial tomato sauce may be an issue, it is a great way to get that lycopene into children as it is best released on cooking. Thyme – Also an excellent herb, thyme is packed full of calcium and beta carotines, providing an awesome array of antibacterial, antioxidant, antiseptic and antiviral properties that make its daily use, either as a chewing herb or in dishes a must. All of the above herbs can be grown together in a beautiful herb spiral, a large strawberry pot or pots, on the deck in a variety of pots, or mingled in among the garden plants. There are no tricks, but in choosing your plants try to avoid ‘modern’ cultivars and look instead for their original ancestors (often marked as ‘heirloom’ or ‘heritage’ varieties). We started in a garden out in the wild with only the plants and animals around us to nourish and protect us. It is my honest conviction that the further away we get from nature, from gardens, the sicker we get. Gardens, in the past, were made to feed us, to nourish our bodies and to heal us in times of illness or anguish. A garden filled with flowers, herbs and vegetables is a beautiful thing, and getting to know just how special your garden is, or can be, is truly one of the most empowering things you can do. So off you go. Start digging. Can we imagine what a daily dose of these herbs would give us? Hi Darren, I couldn’t live without my herbs, I’d be totally lost in the kitchen. The flavours are amazing and far superior than any shop bought herbs. Great post….I have a lovely rose petal jam, that uses and keeps the petals in the jam, unfortunately I don’t have access to roses any more though. I just wish I knew of local wild herbs like they have in the UK. Great post, keep up the good work. @NellyMary: Yep, herbs make all the difference in the world! And they’re expensive to buy fresh, so growing your own is a great way to save money (plus it’s more convenient, and the herbs are better). The jam sounds great! I really liked your idea of using herbs and other stuff in a trivet for roasting turkey legs on (http://justlikemynanmade.blogspot.com/2011/03/hello-if-this-is-first-time-you-are.html). I’ve really got to try that! Love that all of these herbs are so useful and easily obtainable. Easy to incorporate into everyday meals.